Some community leaders are calling for the firing of top officials because of their handling of the Laquan McDonald case. 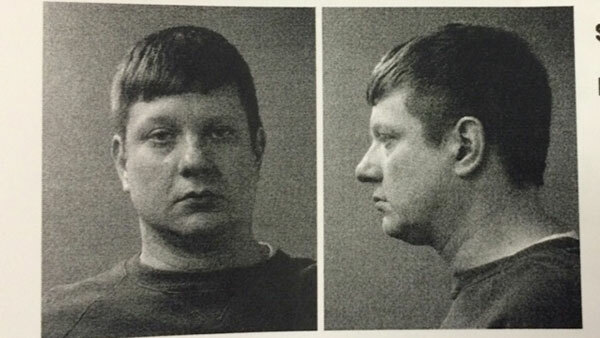 CHICAGO (WLS) -- A Chicago police officer now faces first-degree murder charges in the shooting death of Laquan McDonald, 17. He is being held without bail. Chicago Police Officer Jason Van Dyke shot the black teenager 16 times in October 2014. The shooting was recorded on a police dash cam video, which Chicago police are expected to release at 4:30 p.m. Tuesday. ABC7 Chicago Eyewitness News received a version of the video earlier, but choose to use only a single image due to safety concerns. 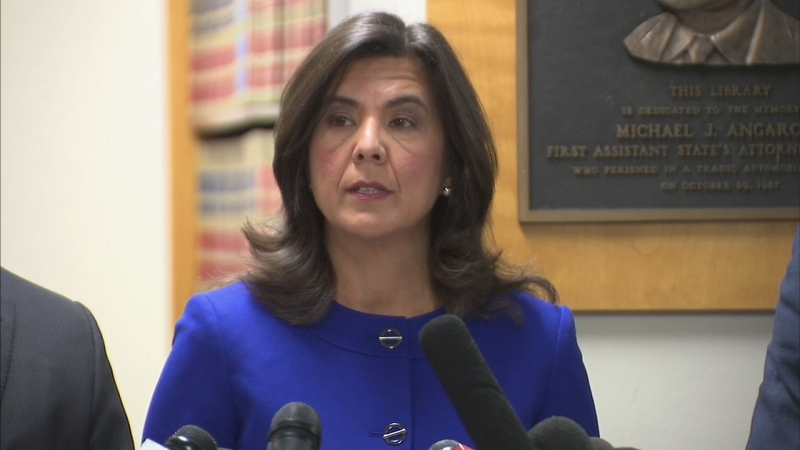 Cook County State's Attorney Anita Alvarez described the video after Van Dyke appeared in court. Anita Alvarez describes dash cam video of Laquan McDonald shooting at a press conference Tuesday. "At 9:57:36, McDonald has crossed over the white lane divider away from the officers, and Officer Van Dyke has taken at least one step towards McDonald with his weapon drawn," Alvarez said. "The officer then opened fire on Laquan, whose arm jerks, his body spins around and he falls to the ground. While Laquan is falling to the ground the defendant takes at least one more step towards him, at which point the angle of the dash camera changes and we can no longer see the officer in the frame of the video. Two seconds later, Laquan McDonald is lying on the street on his right side, and the video captures what appears to be two puffs of smoke coming from the ground near his body. These puffs of smoke were later identified as clouds of debris caused by the fired bullets. At 9:57:51, McDonald is still lying on the street and the last visible shot is fired." Alvarez said at this point, there is a pause as Van Dyke prepares to reload his gun. His partner tells him to hold fire and then walks over to McDonald and kicks away the teenager's knife. Van Dyke acted "without legal justification and with the intent to kill or do great bodily harm, Jason D. Van Dyke personally discharged a firearm that proximately cause the death of LaQuan McDonald," according to court documents filed Tuesday. A Chicago police officer now faces first-degree murder charges in the shooting death of Laquan McDonald, 17. "Of the eight officers on the scene, it was only the defendant who fired his weapon," Alvarez, who has come under fire for the handling of the investigation, said. Van Dyke made no comment Tuesday morning, but his attorney spoke after the bond hearing. Defense attorney Dan Herbert cautions the public's rush to judgment after the video is released. 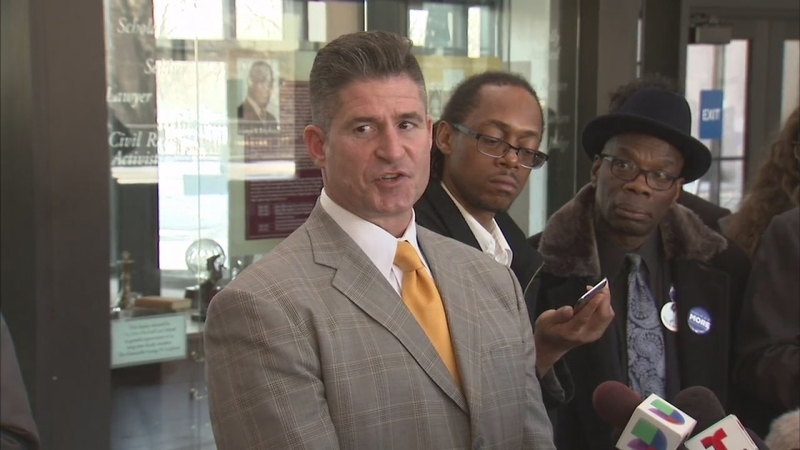 Attorney Dan Herbert speaks on behalf of his client, Officer Jason Van Dyke, in a lobby press conference. "The judgement made by individuals that view this tape from the comfort of their living room on their sofa, it's not the same standard as the perspective from my client. People viewing this video tape will have the brilliance and benefits of hindsight, 20/20 vision," Herbert said. "People will judge the split-second action of my client. However, the standard in this case is: what was my client experiencing at the time at which he made this split-second decision to fire, and that is the standard that is going to be utilized. And thankfully that will be the standard that will be utilized in court, and we fully anticipate that we will be successful in this case." On October 20, 2014, Chicago police were responding to reports of car break-ins near 40th and Karlov when they came across McDonald. Officers said the teen, who was a ward of the state, was acting erratically and had a knife he refused to drop. An autopsy determined McDonald was shot multiple times in the chest, the back of his arms and right leg. McDonald's family already received a $5 million settlement from the city in April 2015. "This investigation was tenacious. It was meticulous," Alvarez said. "At the end of the day, I'd rather take my time and get it right than rush to judgment and get it wrong." "We are standing by Officer Van Dyke in the performance of his duty at this stage. That is what we are elected to do," Dean Angelo, Fraternal Order of Police, said. The timeline for the city to release the graphic dash cam video of the fatal shooting is Wednesday, according to a court order from Cook County Judge Franklin Valderrama. The city is bracing for outrage as city and faith leaders call for calm and peaceful protests. McDonald's family released a statement: We [the family of Laquan McDonald] deeply appreciate the outpouring of love and support for Laquan. This is a difficult time for us. As we have said in the past, while we would prefer that the video not be released we understand that a court has ordered otherwise. We ask for calm in Chicago. No one understands the anger more than us but if you choose to speak out, we urge you to be peaceful. Don't resort to violence in Laquan's name. Let his legacy be better than that. Starting Tuesday, all on-duty Chicago police officers are required to wear their uniforms, but none of the planned vacation days had been canceled. Van Dyke, who has been on desk duty since the investigation into the shooting began, is the first on-duty Chicago police officer to be charged with first-degree murder. He turned himself over to authorities on Tuesday morning and left his gun with his wife, officials said.